Are you looking for a Local Optimization? We help you rank on the TOP of the Local Results. Local Optimization is done for all major local business portals including Google Plus Local Business, Bing Local Business, Yelp, Yellow Pages etc. Local optimization helps you build the website brand as well as generate local business traffic. Build local branding via reviews and ratings. Rank your local business page on the 1st page of Google and other search engines. We also help you rank well on Bing Local, Yahoo Local and other local portals like Yelp, Merchant Circle etc. 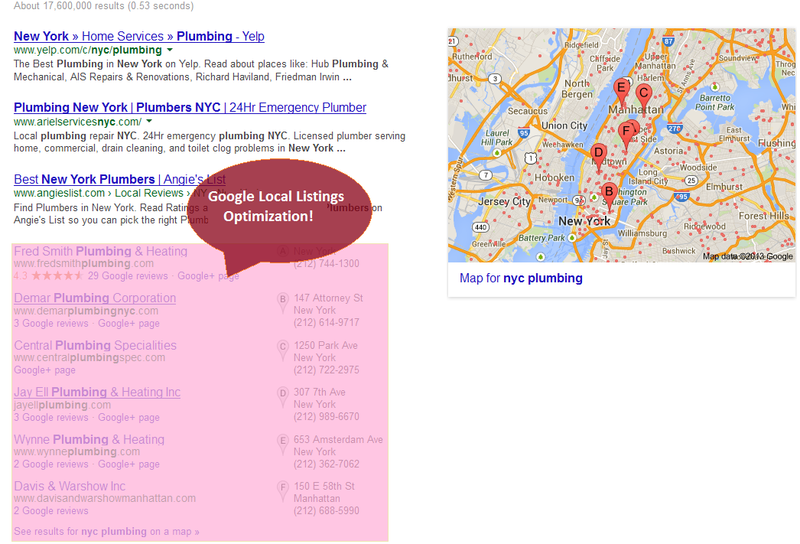 My Local Optimization plan starts at $100 a month which covers the Google Places Optimization. Please get in touch with me for more details.